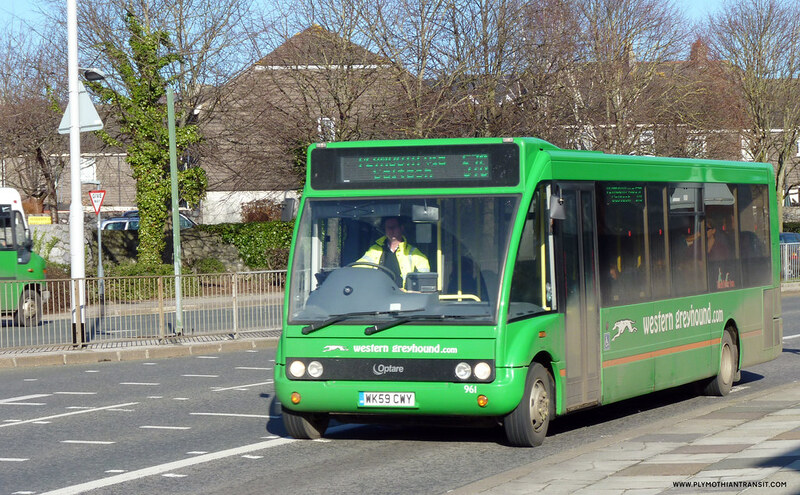 Two Optare Solos from a batch of 6 recently placed into service by Western Greyhound. Fleet numbers 957 to 962 WK59CWU-CWZ are Optare Solo M920's with 33 seats and they look extremely smart in the latest green with ornag ebnad livery. 11:33 PLYMOUTH: Going to Prodigy gig at Pavlions tonight? Why not take a First bus in so there's no parking hassles & you can enjoy a beer too! 12:58 Meet the Manager! 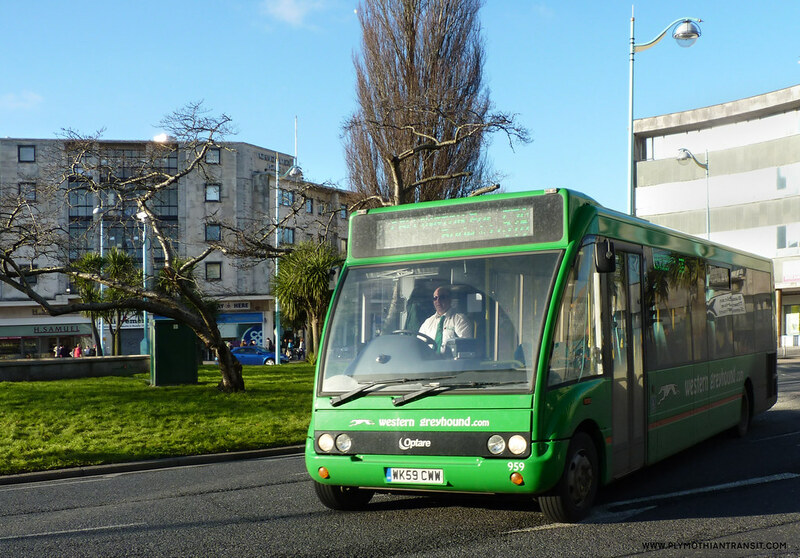 First Devon & Cornwall's Managing Director Marc Reddy & his team will be at Truro Bus Station from 1000-1230 on Wednesday 3rd February to answer your questions and discuss your suggestions regarding bus services in Cornwall. We look forward to seeing you there. ARE YOU A CONCESSIONARY PASS HOLDER? Have you entered our free draw to win a 32inch TV? Just write your contact details on the back of your ticket and drop it in the box in our travel shop on the Viaduct. 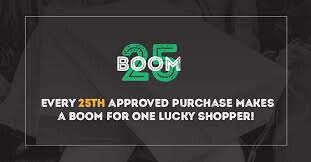 Other prizes including £100 off a Citycoach trip. Enter as many times as you like between now and February 27th 2010. This draw is for concessionary pass holders only. Full rules on our website. recently? they've been on since last autumn!